That's a neat noise maker you have. Maybe you could sell those. Ha Ha and maybe serious. Why can't people donate directly and show you the donation slip? The Seiberts did not arrange for assistance nor ask for help, so there's no direct link that I'm aware of. Several of us in the community took it upon ourselves to raise funds for them. There are about 3-4 fundraisers that I'm aware of, so if you're uncomfortable with mine then use one of those. Sent what I could. Wish it were more. 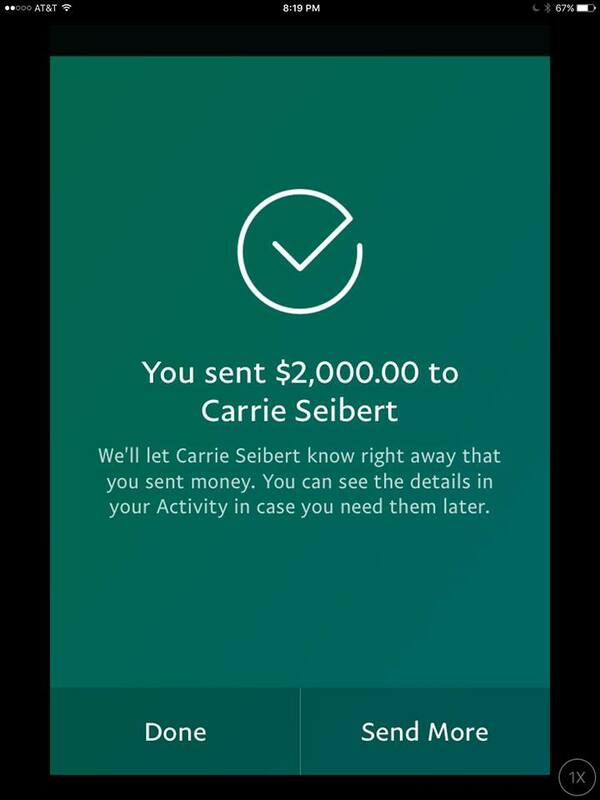 We hit $2000.00 today in the Raffle Fundraiser for ‪#‎SeibertStong‬ and I was delighted to send that on to Carrie Stevens Seibert. I want to thank you folks for making this happen. Also, I must remind you that we aren't finished yet. More prizes to be announced Wednesday and the drawings will be held on April 1st. Keep giving if you can. Thanks for putting this together TSEvangelist!